It’s August 25th 2018, Bank holiday weekend and today’s happy couple need a Rolls Royce Wedding Car in Whitefield near Manchester. 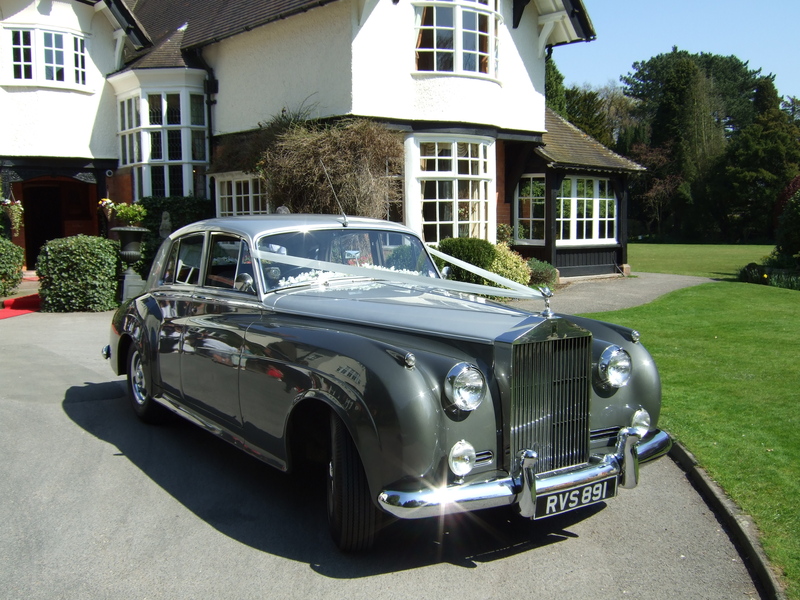 It was a pleasure to to send over our 1956 Rolls Royce Silver Cloud along with a Daimler DS420 Limousine for the Bridesmaids. The Bride and her party stayed at the Midland Hotel in Manchester the previous night so that was our pickup point.Being August bank holiday It was also Manchester Pride day so it was vital we got to Manchester early as we expected very heavy traffic around the Midland hotel. We were surprised to see that the traffic we expected did not materialize and we arrived at the Midland hotel with over an hour to spare. Always better to be early. The wedding itself took place at the wonderful All Saints Church in Whitefield, it’s always a pleasure to go to beautiful churches and All Saints is no exception. After the ceremony the happy couple had plenty time for photographs outside the church and across the road where there was a bowling green, both wedding cars then transported bridesmaids and the Bride and Groom back into Manchester city center from Whitefield, the journey took about 20 minutes. The Wedding party arrived back at the Midland Hotel where they had a few more photographs with the Rolls Royce Silver Cloud. It was then time to head back to our base in Wigan. Wedding Car used. 1956 Rolls Royce Silver Cloud. Wedding venue. All Saints Church Whitefield. Wedding reception. The Midland Hotel, Manchester. 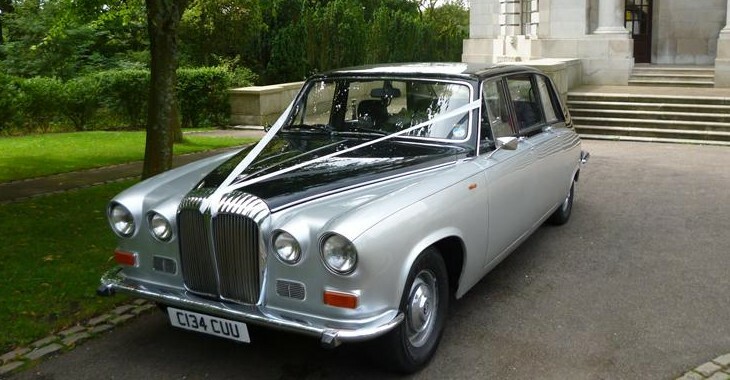 If you are looking for a Wedding Car in the North West, including Whitefield, give us a call. We will give you the best quote we can and deliver the very best service we possible. Telephone. 01942 324974 07754 839 715.